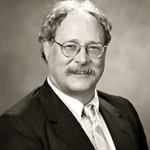 Dr. Michael S. Muhlbauer graduated from the University of Texas, Austin in 1977 with his Bachelor of Arts Degree in chemistry. He then attended the University of Texas Southwestern Medical School in Dallas, Texas graduating in 1981. After completing a surgical internship in 1982 he began his neurosurgical residency at the University of Tennessee, Memphis under the direction of Dr. James T. Robertson. During his neurosurgical residency he returned to the University of Texas Southwestern Medical School and complete& d a rotation in pediatric neurology. In 1986 he went to Bristol, England where he did a 3 month rotation at Frenchay Hospital Locum Registrar in pediatric and adult neurosurgery. Additional training included several months under the direction of Dr. David Klein at Louisiana State University in the area of peripheral neurosurgery. Upon completion of his neurosurgical residency (1987), Dr. Muhlbauer joined Semmes Murphey Clinic and began practicing pediatric neurosurgery. He became a Clinical Assistant Professor at the University of Tennessee, Memphis in 1987. He has since enlarged his practice to include adult neurosurgery as well as pediatric neurosurgery with his regional expertise in traumatic spine injuries, peripheral nerve injuries, pediatric spasticity, pediatric spine tumors and adult degenerative disc disorders.